Yes, in the midst of those dreadful downpours, the floral fireworks may seem long in coming…and yet don’t the ingenuity and endurance that get us through life’s toughest tornadoes always make for the best stories?! In late August 2011, the very outer edges of Hurricane Irene were felt in Cape Cod as the storm, by then an extratropical cyclone, moved inland toward Vermont and New Hampshire. 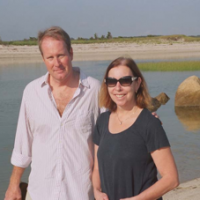 At the time, I was in Brewster, on the Cape, with my wife (the painter Majo L. Foy). We were staying with our friend, the poet and translator Lorna Knowles Blake (pictured here), her husband Bob Batterman, and their two beloved Portuguese Water Dogs. The name of their beachfront home is Point of View, from which today’s poem takes its title. “Point of View” (I wrote this one) is a celebratory poem about the hurricane. During the storm, I happened to be in just about the safest place: the vast mudflats of Brewster at low tide. Out there on the reaches of sand, there was nothing to blow away or crash down. So I was in the rare position of being able to revel in the wall of wind. together just give in to it. say what I want about the wind. has nothing more to do with time. It’s good to be out in a hurricane. ~~~John Foy is the author of Techne’s Clearinghouse (Zoo Press/University of Nebraska Press). His poems are featured in the Swallow Anthology of New American Poets, and he has appeared widely in journals, including Poetry, The New Yorker, The New Criterion, Parnassus, American Arts Quarterly, The Raintown Review and many others, with poems forthcoming in The Hudson Review, The Village Voice and The Yale Review. 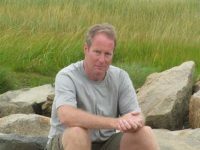 He has also published extensively online and has been a guest blogger for The Best American Poetry website. His essays and reviews have appeared in Parnassus, The New Criterion, Contemporary Poetry Review, The Dark Horse(in Scotland) and other publications, both print and on line. He lives in New York and helps to curate an uptown reading series in Manhattan. You can visit him at www.johnffoy.net. 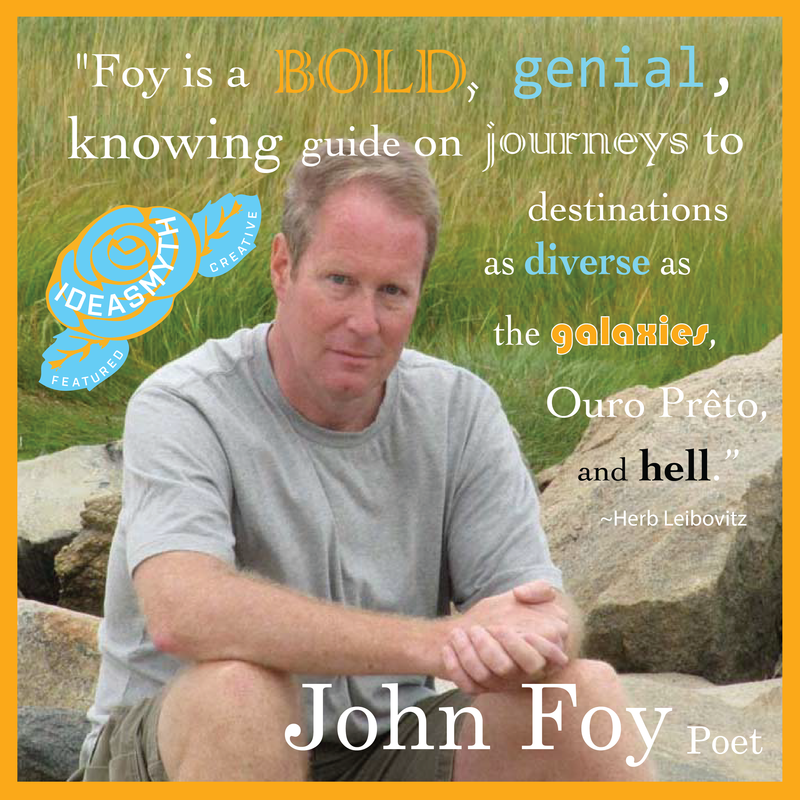 Posted in Braving Storms, Inspiration, Writing and tagged braving storms, John Foy, poetry.